NEWS REPORT: After Per Johansson left, CSM Bucuresti brought another Swedish coach in, Magnus Johansson, Per Johansson’s former assistant for the Swedish national team. 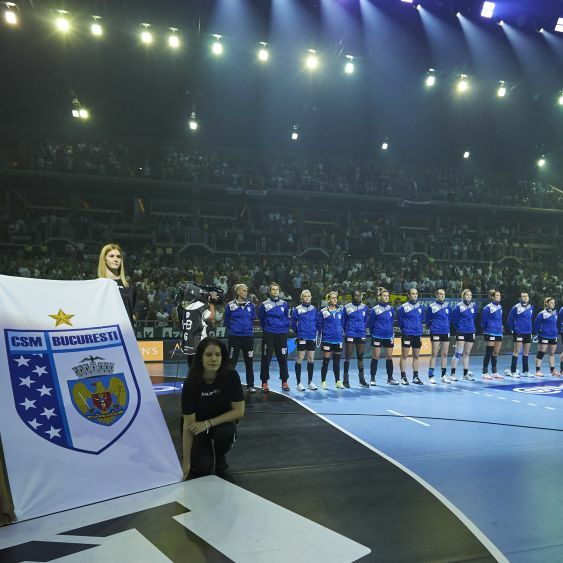 Per Johansson’s tenure at CSM Bucuresti ended for the second time after the end of the season, but the Romanian powerhouse remained loyal to their Scandinavian coach model, after announcing a two-year contract for Magnus Karl Johansson. The 48-year old Swedish coach is the eighth coach for CSM in the last four years, as the management was looking for a long-term commitment, hoping that the next coach will be the first one to stay for the course of a whole season after the team became a powerhouse in 2014. “I am truly happy that a powerful club like CSM thought of me and I will be at 100 per cent to achieve all of our objectives this season,” stated Johansson for the team’s official website. Johansson has background both in men’s and women’s handball, winning the silver medal at the Women’s EHF EURO 2010 with Sweden, as Per Johansson’s assistant. The Swedish coach has been coaching both in the Women’s EHF Champions League and in the VELUX EHF Champions League for Swedish champions IK Sävehof, while spending the last two seasons in the Norwegian’s women league, as the head coach of Molde HK. “I will not hide that we held talks with several coaches, but, ultimately, we decided to give Magnus Johansson a chance. We heard very good words about him from former players and coaches and we believe that we made the right decision,” said Nicolae Luca, CSM’s team manager. Johansson will be the second Swedish coach in the team’s history after Per Johansson, but follows in the footsteps of Danish coaches like Mette Klit, Kim Rasmussen, Jakob Vestergaard and Helle Thomsen. CSM will face Norwegian champions Vipers Kristiansand, FTC-Cargo Rail Hungaria and the winner of the first qualifying tournament, which features SG BBM Bietigheim, Super Amara Bera Bera, MKS Perla Lublin and Jomi Salerno.